Boost your restaurant profits and get control of your food costs. A simple and hassle-free solution to help you streamline back-of-house, reduce waste, and cut your food costs, so you can be the boss of your bottom line. Save 30-50 hours per month by ditching pen, paper, and spreadsheets. 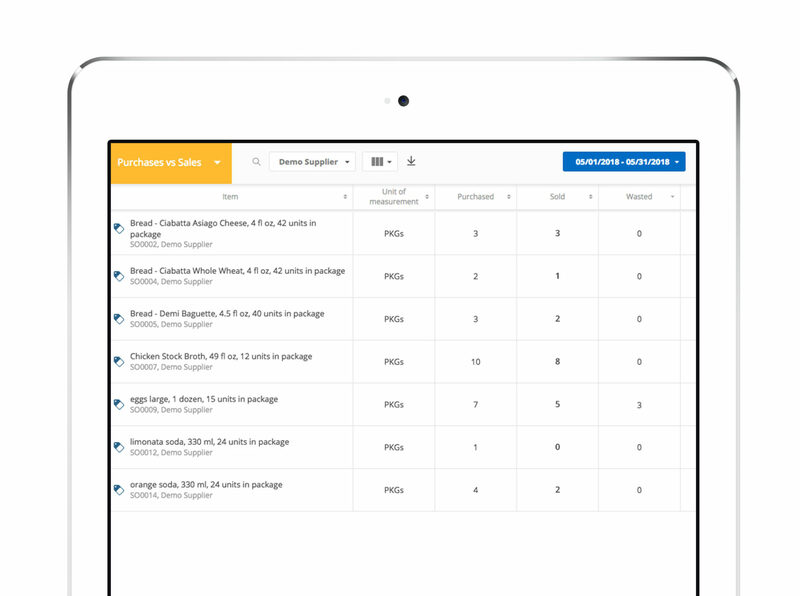 Automate the manual and time-exhaustive parts of restaurant inventory management with real-time deductions down to the ounce as menu items are sold, automatic replenishments when you receive inventory, and 1-click purchasing when you get low inventory level alerts. Always know if your goods are being plated or wasted. Food costs makes up a healthy chunk of your expenses, so it’s crucial to keep them under control and away from eating up your bottom line. With automatic tracking and simple reporting, you’ll always know your inventory variances. Feed those slim restaurant margins. Knowing your food costs starts with your recipes. We help calculate recipe costs and margins by tracking every ingredient on the plate and any price fluctuations. 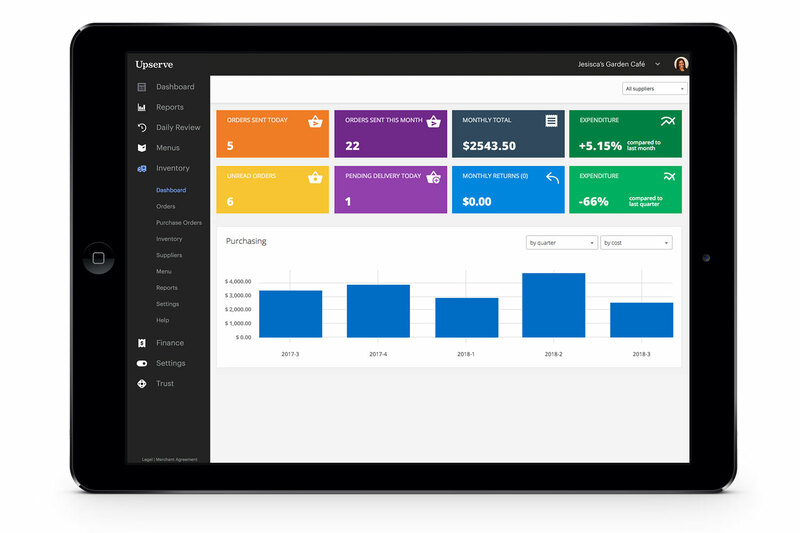 Only Upserve enables you to see which menu items are bringing guests back and how profitable they are for your business, so you can engineer a delicious menu that’s good to your guests and to your bottom line. Customers using Upserve Inventory report 5-8% improvement in their margins by tracking food waste, avoiding excessive ordering, and maintaining just the right inventory levels for their restaurant and across their brand. Multiple locations? Central kitchens? Check and check. Managing food costs for multiple locations is easier with Upserve Inventory. Ensure your locations only deal with suppliers you authorize, purchase the supplies and amounts you approve, and pay the prices you’ve negotiated. If your brand is ordering from a central kitchen, you can be sure that all the locations get the supplies they need, when they need them, so you can stay on top of your budget and plan ahead. 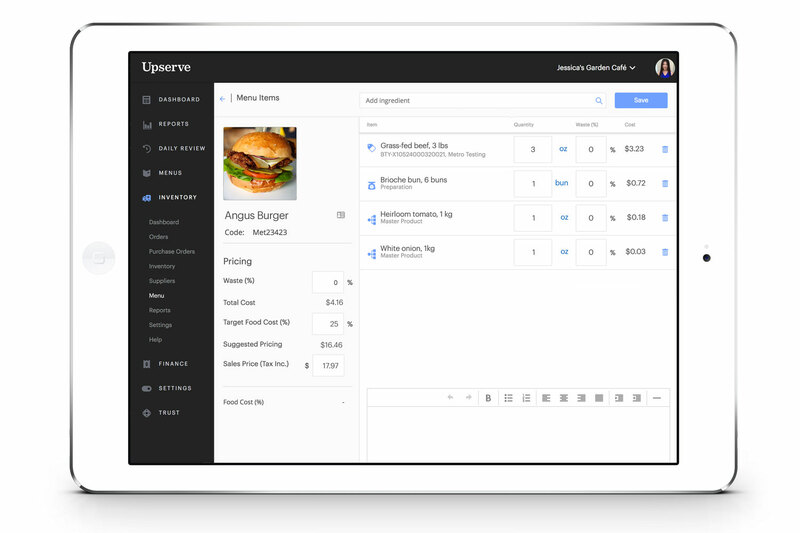 Successful restaurants rely on Upserve Inventory to simplify food costing and inventory management. Key features to make your life easier. Feel in control knowing what you have in stock with real-time inventory tracking, down to the ounce of mayo, as menu items are sold. Understand costs and margins for every menu item to design a delicious and profitable menu. 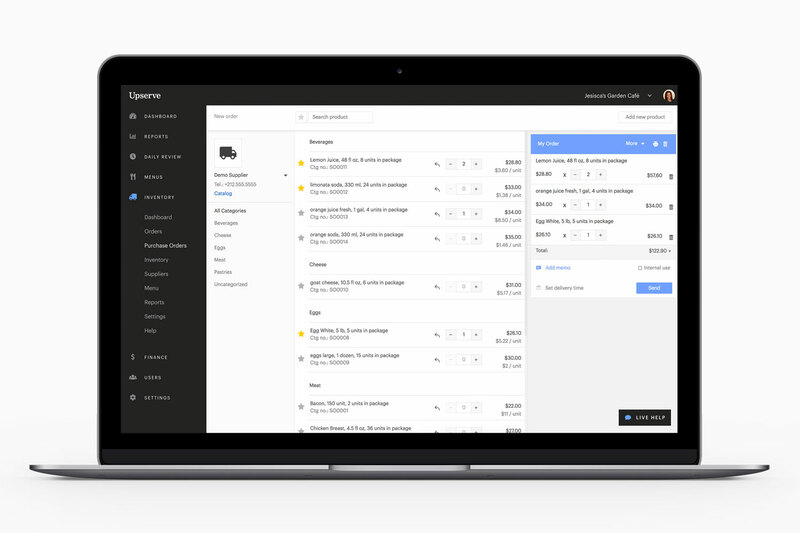 Save hours by automating the ordering process and managing all suppliers in one place. Automatically create and place orders in 1-click when inventory levels run low. Lose the spreadsheets and paper invoices.